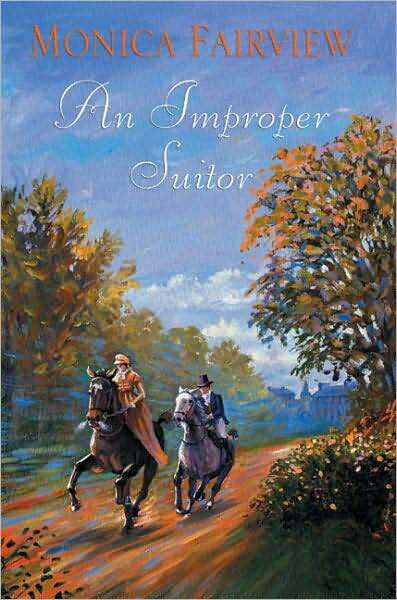 A confirm ed Jane Austen addict, Monica Fairview used to be a literature professor, but her compulsion to write something other than scholarly articles pushed her over the edge and resulted in her first published novel, the Regency romance, An Improper Suitor. 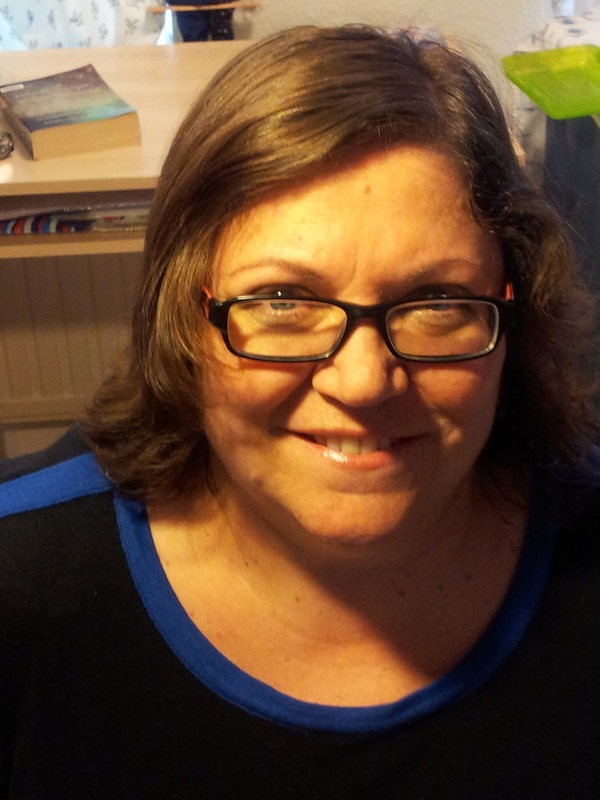 Now she dedicates whatever time she can spare from raising a very active daughter to writing and reading –and more writing. Born in London, Monica lived in the USA for many years. She loves to chuckle, read, and visit historical places. Sometimes she enjoys doing nothing at all. When she has the time. So far Monica has written two Jane Austen sequels. 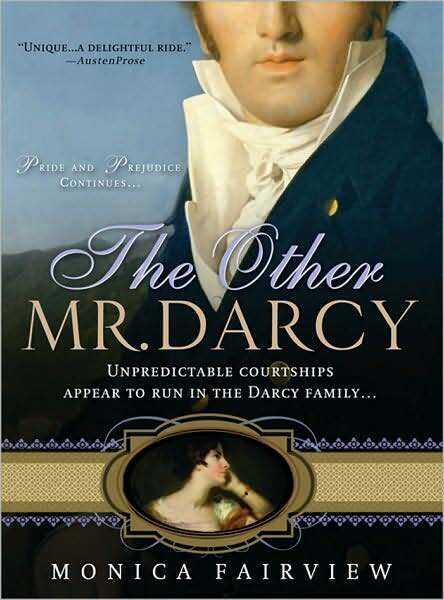 The Other Mr. Darcy focuses on Caroline Bingley and introduces Mr. Darcy’s American Cousin Robert, while The Darcy Cousins focuses on Georgiana Darcy. 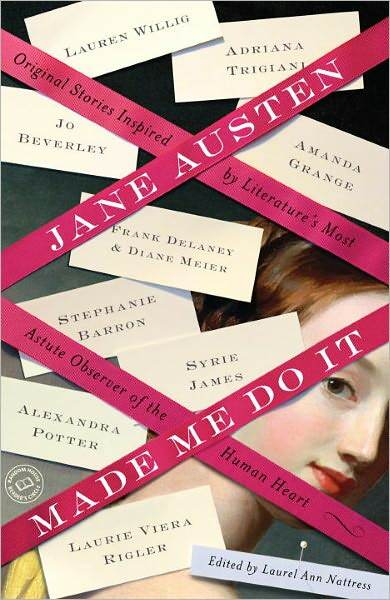 A short story, an Emma sequel, appeared in Laurel Ann Nattress’s anthology Jane Austen Made Me Do It, published by Ballantine. There are surprises in store for that bastion of tradition, Rosings Park when the family gathers for their annual Easter visit. Georgiana Darcy, generally a shy model of propriety, decides to take a few lessons from her unconventional cousin, and Anne de Bourgh simply – vanishes. In this tale of friendship, rebellion, and love, two young women entering Society forge a strong connection, a connection that is sorely tested when they both set out to win the heart of a most dashing – and dangerous – gentleman. When Caroline Bingley, for the first time in her life, collapses to the floor and sobs at Mr. Darcy’s wedding, she does not think anyone is watching. Imagine her humiliation when she discovers that a stranger has witnessed her unusual emotional display. Miss Bingley, understandably, resents this unknown gentleman very much, even if he is Mr. Darcy’s America cousin. A year later, when she is forced to travel to Pemberley with Robert Darcy, she still has not forgiven him. To her chagrin, her attempts to snub him fail completely, and, as the Bennets descend upon the Darcy estate, she finds herself spending more and more time in his company. Is there more to the infamous Miss Bingley than meets the eye? And can this other Mr. Darcy break through her reserve? Edited by Lau rel Ann Nattress. My contribution – “Nothing Less than Fairyland” – is a sequel to Emma. In this gently humorous story, the day has come for Mr. Knightly to move into Hartfield, but Mr. Woodhouse is still not reconciled to the marriage. Trouble looms on the horizon unless Emma can quickly find a way to convince her papa to accept Mr. Knightly’s presence. A lady in possession of an independent fortune has no need for a husband. Miss Julia Swifton, secure in that belief, has made no attempt to search for one, even after three seasons in London. That is until her grandmother, an advocate of women’s rights, rises from her deathbed and threatens, of all things, to marry her to a notorious rake, Lord Thorwynn. Shocked into action, Julia launches into a search for an intelligent, scholarly husband who will suit her. On her way she has to rescue a fallen “angel,” save a rake from being forced into marriage, defeat an unscrupulous gambler who needs to seduce her for money, and avert a friend’s disastrous runaway marriage. Fortunately, she does not have to do it alone. Even if her companion, Lord Thorwynn, is the last person she would ever want to marry. Join us on a romantic adventure like no other in this whimsical Pride and Prejudice-inspired tribute, featuring Darcy (of course), Wickham, dirigibles, swashbuckling pirates and a heroine with fine eyes and an attitude. Torn between his heart and his mind … Mr. Darcy must make a choice. In Volume I of this Pride and Prejudice variation, Monica Fairview traces Mr. Darcy’s journey as he struggles to come to terms with the upheaval Elizabeth Bennet has caused in his life … and his heart. Darcy dreams of winning Elizabeth Bennet’s hand and he has a strategy worked out. But when a chance encounter prompts Darcy to propose to Elizabeth before he has rescued Lydia, his plans go horribly awry. 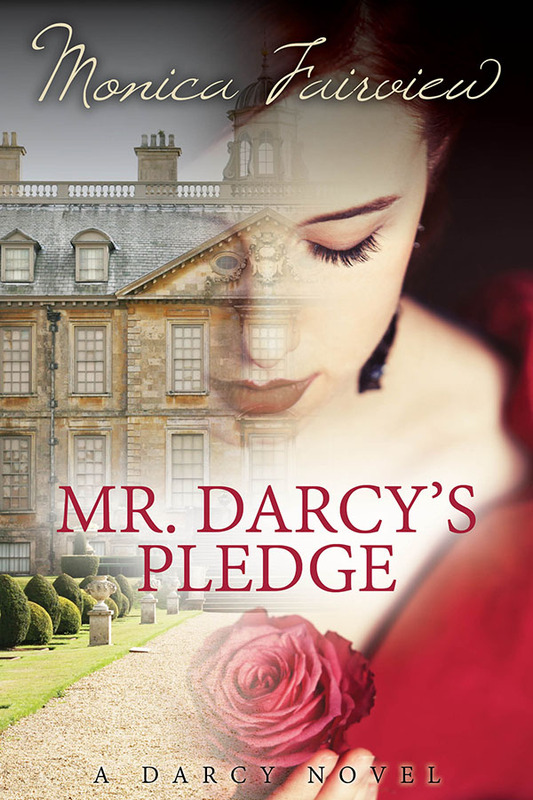 Broken hearted, disillusioned and bitterly regretting his impulsive action, Darcy sees no point in fulfilling the terms of his pledge. After all, rescuing Lydia might save Elizabeth’s reputation, but why should he assist her when they have no future together? Once again, Darcy finds himself faced with impossible choices: being selfless, even knowing there is no chance of reward; or holding onto his dignity by turning his back on the Bennets once and for all. 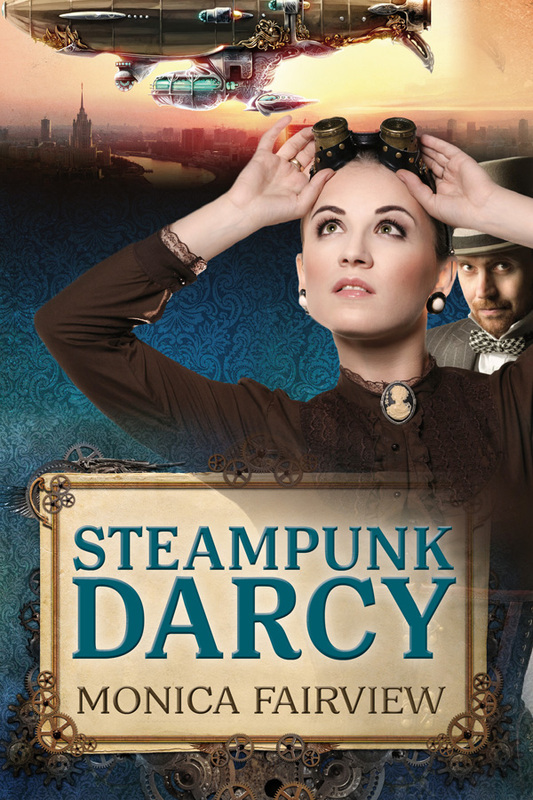 Look for Volume Three of The Darcy Novels coming in 2015. Mr. Darcy’s Pride and Joy continues the story began in Mr. Darcy’s Pledge but can be read as an independent book as well.